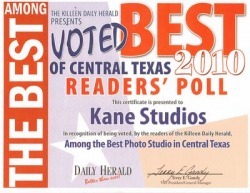 Kane Studios is a photography studio that offers an outdoor photography garden as well as an indoor studio. 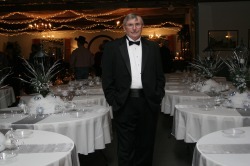 Kane Studios is owned and operated by Gregory and Vicki Kane. Gregory Kane has been a photographer since 1969. Gregory Kane is the primary photographer/editor and technician for the business. We make a great pair! For large events we bring our trailer to make sure we have everything we need. Greg has his master degree in Psychology & PhD in Art. He is retired with the military and works as a computer engineer on Ft. Hood.